RRRRRROOOOLL UP ROLL UP!! Camp bestival has just announced the theme for 2014. WOOOOO!! 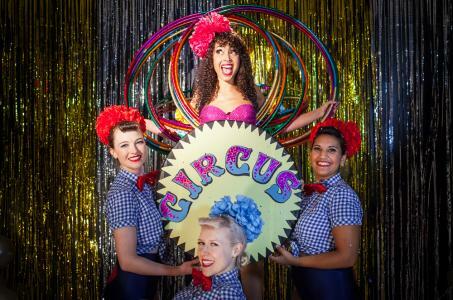 This year It’s a freakydeaky, glitter-faced, lion-taming, strong man laden, bearded lady-athon…it’s the flippin’ circus!! That’s right – all the fun of the fair AND more!!! Get your freak on. Bust out that lion suit. Clown around. Don your Ring Master outfit…do it! Camping Plus tickets are now available at a special Early Bird price but for a very limited time. Its a unique initiative designed to give a bit of peace of mind to Camp Bestival-goers who want to camp it up in STYLE. Camping plus gets you a prime 5m x 7m pitch with its own dedicated car park and entrance; easy access to showers; shiny loos and a yummy café. Camping Plus plots cost £125.00 (max of 2 adults and 4 children per plot – available at this special Early Bird price for a very limited time). It’s great for the less organised among us as you can rest assured you’ll have a lovely camp spot sorted. A Payment Plan to purchase your tickets is also available. This means that an adult ticket can now be bought at a payment of just £7.80 per week, over 25 consecutive weekly payments.